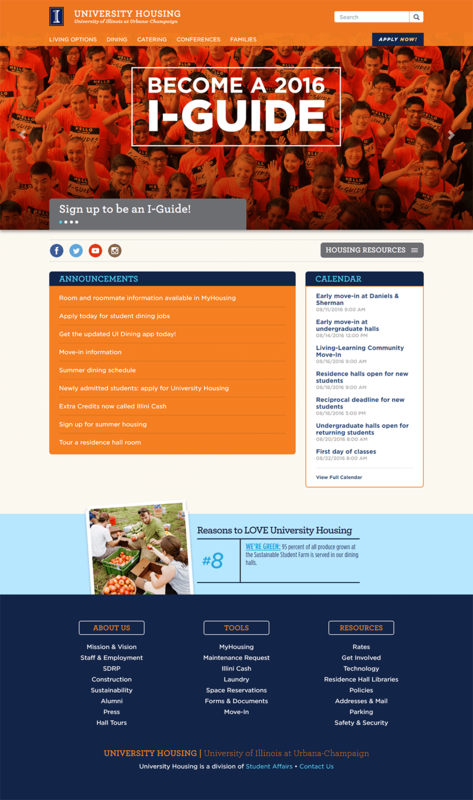 This applicaiton is the main website for University Housing. It encompasses a wide range of informational content targeted at several visitor segments. This was one of the first projects I worked on at University Housing. It required close collaboration between my group and our marketing team. Role: Collaborated with the marketing team and their designers to create an modern, responsive design. Worked meticulously on the front-end to eunsure the final product was as close as possible to the designers’ mockups and vision. Worked with my teammates on the back-end to integrate the website into our Sitecore CMS. Incorporated the leates techniques in accessibility and usability in collaboration with university accessibility experts.